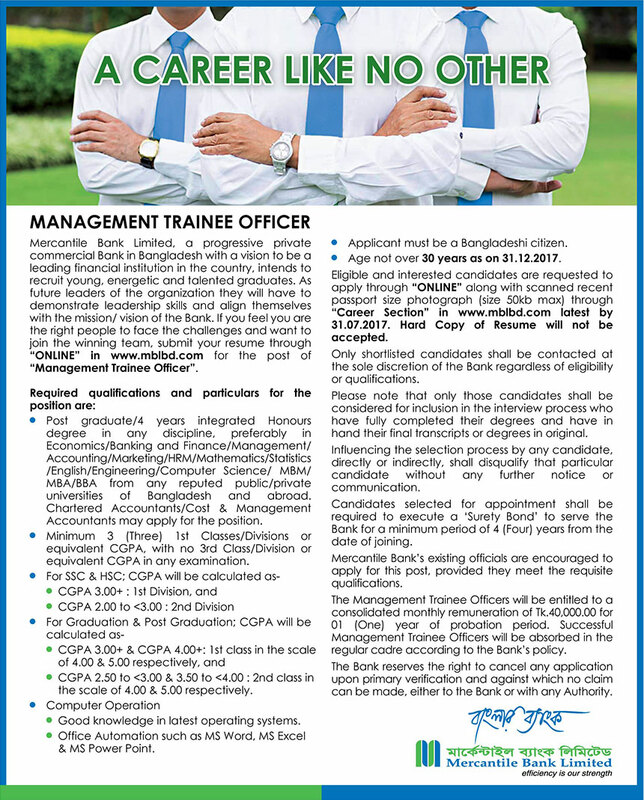 Mercantile Bank MANAGEMENT TRAINEE OFFICER Job Circular 2017. Latest Job Circular of Mercantile Bank Limited. The Recruitment Circular for MTO 2017. Check the all job notice from http://www.mblbd.com/career/main/job.